Working out is more enjoyable than ever with the SOLE SR500 rower, featuring ultra-smooth air and magnetic resistance motion to create a realistic rowing sensation. This quality constructed machine includes a long aluminum rail to accommodate multiple users of various heights. With its folding design and transport wheels, the SR500 is easy to move and store when not in use. Designed for comfort, convenience and reliability, the SOLE SR500’s high seating position allows users to get on and off the machine with ease, while adjustable pedals fit different heel angles for comfortable use and proper movement. Choose your workout from an array of manual and pre-set programs while viewing detailed readouts on the two colour display screen, and adjust your resistance without missing a beat using the control buttons built in to the row bar. The SOLE SR500 includes 12 programs and comes with a wireless chest belt to monitor your heart rate and help you achieve the most from your workout. 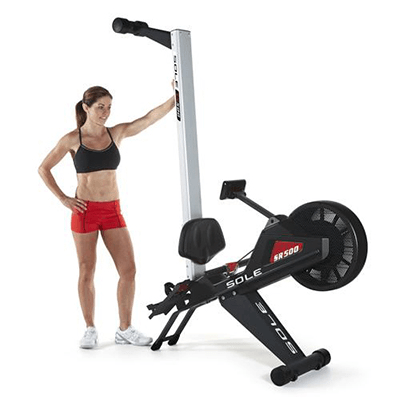 Purchase of the SOLE Fitness SR500 rower includes premium threshold delivery meaning your rower is delivered directly to the first dry area of your home: inside your front door, garage, or inside the front lobby of your building, and will not be left on your curb. Item Weight (lbs. ): 115 lbs. User Weight Capacity (lbs. ): 515 lbs. Shipping Weight (lbs. ): 130 lbs. 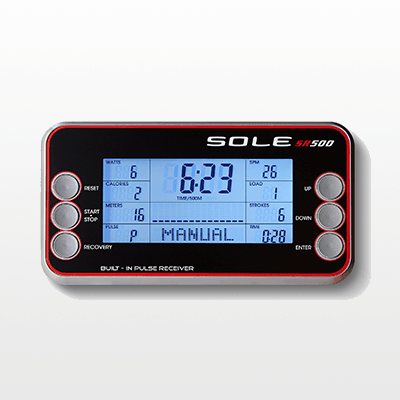 At SOLE, our rowers are designed to meet consumer needs and allow you to work out on your own terms. The natural, comfortable feel of SOLE rowers has been achieved using an ergonomic design, comfortable seat, easy to view console display, and a strong durable frame. Using only premium components, SOLE has focused on helping you achieve your fitness goals without sacrificing the quality of the product. SOLE Fitness equipment is designed for comfort. The SR500 rower features a high seating position that allows users to get on and off the machine with ease. 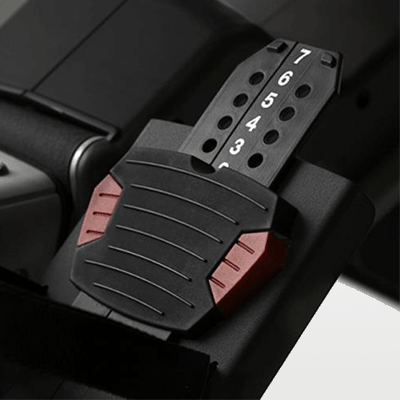 The adjustable pedals fit multiple users at various heel angles to provide comfort and ease of use during either rigorous or slower-paced workouts. The belt drive is durable, quiet, and designed to move smoothly so you can concentrate on your workout, not the machine. 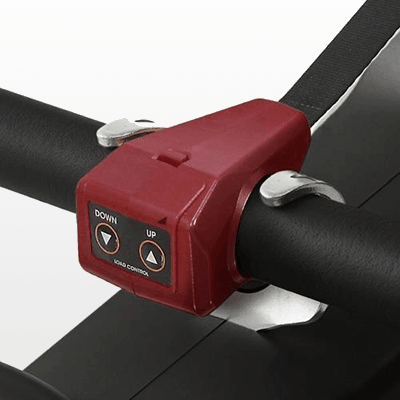 The SR500 rower helps make tracking your workouts easy with its two color LCD display. The monitor has multiple programs to help users achieve their workout goals including interval training and heart rate control (wireless chest strap included). Readouts include 500m time, total time, strokes per minute, total strokes, calories, distance, and pulse. 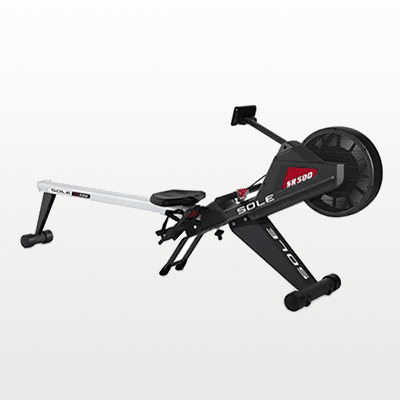 SOLE’s folding frame design allows users to exercise almost anywhere in their home and easily store the machine after use. It includes a quick release locking design as well as built in rollers to make moving simple once your workout is complete. At any setting, the SR500 delivers a smooth natural pull with its powerful magnetic/air resistance system. The SR500 rower offers 16 levels of resistance that allow for a quiet but intense workout which includes benefits of distributed force along your major muscle areas (legs, arms, back, abs). A strong durable frame is the foundation of SOLE Fitness rowers. Heavy steel tubing and a smooth aluminum rail make the SR500 durable, light, and manageable. Transport wheels at the front of the frame help make moving SOLE rowers easy and convenient.